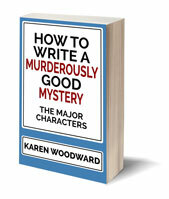 As Dwight V. Swain says in Techniques of the Selling Writer, sequels take the protagonist from the disaster of one scene to the goal of the next one. The protagonist reacts to the disaster, reviews the courses of action which are open to him and then picks one. This sets the goal for the next scene. As you can see, the basic structure is the same, Jim Butcher just makes explicit a stage--anticipation--that was implicit in Swain's list. Before we examine each of these points; each of the 'ribs' of the skeleton of a sequel; it will help to have an example. Let's create a character. I'll call her Sue Lynch. Sue is giving a talk at a computer security conference tomorrow. The talk will be about her research into developing a promising, though controversial, new encryption technology. Sue is on her way to the airport when she realizes she forgot to upload her powerpoint presentation. She would ask Tom, her husband, to bring the thumbdrive to her at the airport but he is out of town for the weekend on a business trip. When Sue opens the door to the apartment she sees her husband lying on the floor surrounded by a pool of blood. One look tells her he's dead. The room is in shambles. Bookcases have been emptied, drawers pulled out, cushions slashed. The first thing Sue does is have an emotional reaction. She doesn't think anything, not right away. She just feels. But what does she feel? Paul Ekman holds that the basic human emotions are excitement, tenderness, fear, anger, sadness and happiness. Depending on the kind of character Sue is, she might have any of these emotions. But keep in mind that the kind of reaction she has is going to tell readers a lot about her. Continuing my example: When Sue sees her husband's body she feels as though someone doused her with a bucket of cold water. She staggers and sits on the floor. A kind of static numbness drives her thoughts away. Then the grief hits and she's physically sick. At some point the emotional shock is going to begin to fade and the character is going to begin to think. Specifically, she is going to pick out what, to her, are the salient points of the situation and use logic and reason to figure out her options, look at different courses of action, and then reach a decision. We've already discussed the character's emotional reaction. 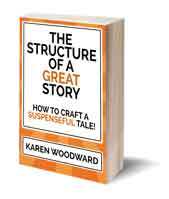 Now the character focuses on making sense of the disaster she suffered. The character starts to make sense of the disaster by reviewing what just happened. This shows the reader what sorts of things are important to her and, therefore, what kind of pseudo-person she is. It opens a window to her soul. i.a) The bullet holes. There are two bullet holes in her late husband's chest but, otherwise, his body seems unmarked. i.b) Nearly all their valuables are accounted for. Sue does a quick search of the apartment. As far as she can tell, the only thing taken was her home laptop (she has her work one with her), her iPad and the thumb drives she kept in her desk. i.c) Her husband wasn't supposed to be home, he was supposed to be in another city consulting on a case with a colleague. He is wearing his lucky tie and smells of his favorite cologne. i.d) The murderer destroyed her late husband's collection of baseball cards. He ripped them from their plastic cases and tore them to bits. i.e) A bottle of wine and what look like the remains of two glasses lie near an overturned table. First thing. What is going through Sue's mind? As Sue searches the apartment she is reacting to her husband's death. What does she remember? What does she dwell on? This will tell us several things. First, it will tell us what kind of pseudo-person Sue is (does she concentrate on the bad times or the good?) as well as show us what kind of relationship they had. Had the love between them dimmed? Were they fighting? Was he resentful of her success? Or perhaps he wanted her to work less so they could spend more time together? Let's give Sue another big emotional reaction. It would be natural for her to value something she kept in the apartment. As she surveys the devastation, it occurs to her that this thing--whatever it is--may have been stolen. As soon as this thought occurs to her she will run to wherever she kept it. We're the storyteller, so let's have it that Sue and Tom store their valuables in a safe. This is where she runs. The safe contains the normal stuff--important papers, deeds, their marriage licence and so on--but there are two other things here that interest us. One is something of great emotional value but not much monetary value while the other is something of great monetary value but not much emotional value. Which will Sue be more concerned about? Which would she most grieve the loss of? Her choice will tell us about the kind of pseudo-person she is. Given Sue's situation and the things she has noticed, what will she infer? From (i.a) I would have Sue infer that there wasn't a struggle. Further, from the placement of the bullets, two to the heart, Sue would believe that the killer was a good shot. From (i.b) I would have Sue infer that the burglar was after something tiny. Something about the size of a thumb drive. Or perhaps something that could be stored on a thumb drive, something like the latest version of her experimental encryption program. From (i.c) and (i.e) I would have Sue infer that her husband was having an affair. From (i.d) I would have Sue not infer anything in particular, though she might wonder whether the murderer was looking for an optical memory strip hidden within the cards. After learning her husband was having an affair she might feel a twinge of glee at their destruction. Taking all the evidence together, I would have Sue doubt that this was the work of a burglar. Perhaps someone who wanted access to her research had seduced Tom. Once in the apartment this mystery woman had killed him and done a thorough search. The protagonist, Sue, has suffered a crushing defeat (her husband's death), she has reviewed the situation, explored the possibilities and formed some conclusions. At this point the question is: What now? This defeat needs to be translated into a goal that the protagonist can pursue in the next scene. iii.a) Sue could call the police and turn the matter over to them. If Tom surprised a burglar then time is of the essence and Sue should call the police. There is also the possibility that, if her husband was having an affair, whoever killed Tom abducted this girl. The killer could have wounded her, she could be dying. How Sue responds to this will show us her character. It would be natural for her to hate the other woman, but I would have Sue be compassionate. She may dislike the other woman on principle, but she doesn't want her to die. iii.b) If Tom's death wasn't the result of a burglary gone wrong then perhaps calling the police wouldn't be the best thing to do. The killer would soon discover that none of the data storage devises he'd taken contained her program. As it stood, he would think she was on an airplane heading to the conference. That's where he'd go to look for her. That could give her a head start. She could run away. Hide. If she called the police, he would know where she was. Yes, she could hide the program but that would just mean that instead of killing her he'd torture her for its location. She could destroy the program. But that wouldn't solve anything. No one would believe her. No. Her only hope was to remain hidden. She had enough money to leave the country and maintain a decent standard of living in a country which lacked an extradition treaty with the US. iii.c) Sue could attempt to find out who killed her husband and why. If the intruder wasn't a random burglar, if he wanted her encryption program, then Sue would feel responsible for her husband's death. She would feel she owed it to him to make his killer pay. Also, she doesn't understand why anyone would want her encryption program badly enough to kill. Yes, she developed an encryption algorithm that is unbreakable, but why would anyone kill for that? Perhaps what they wanted was to prevent it from being used. At some point Sue will realize someone else is in danger. If she doesn't show up at the conference, the killer will target the only other person who worked on her encryption program: her assistant, Mark Fleming. If the killer searches Mark's room and he doesn't find the program, what then? Would he kill Mark? Torture him for information? How far would the killer go to possess her program? Each of these three courses of action has its own stakes. If Sue follows path (iii.a) then she will grieve the loss of her husband but, otherwise, her life will carry on as normal. Her job will remain unchanged, she will continue with her research and will give speeches at other conferences. If Sue follows path (iii.b), though, her life will be radically changed. She will have to go into hiding, which would mean she couldn't work. She would lose her job and the security it provided. Also, if she disappeared after visiting the apartment the police are likely to think she killed her husband. If Sue makes it to another country and hides there for the rest of her life she would be safe. She would be alive and have enough money to live out her days with a reasonable standard of living. Who knows, one day she might even be able to move back to the US. If Sue follows path (iii.c) her life will change most of all. She will have to face her fears and follow the killer to the conference. Taking this path would require that Sue take risks but she is naturally conservative. Careful. Sue phones her assistant and warn him of the danger he could be in but when she calls his cell he doesn't answer. She calls Mark's hotel--he was supposed to arrive a day early--and is told he hasn't checked in yet. Is Mark dead already? Or perhaps Mark is working with whoever broke into her apartment searching for the program. Sue decides to attend the convention, but under another identity. She will hide in plain sight and try to find the killer who tearing her life apart. By now the stakes of each path, each choice, are clear. Readers know not only what Sue's so-concrete-you-could-take-a-picture-of-it goal is, but what will happen if she fails to achieve it as well as what will happen if she does. As the story progresses and Sue's goal becomes more difficult to attain, the pressure for the protagonist to quit increases. For her continued pursuit of her goal to remain plausible the stakes must increase over time, especially the negative stakes. Sometimes I think of this step as part of a character's cognitive reaction, but Jim Butcher points out that in a horror story the anticipation aspect of the sequel is of primary importance. In Joss Whedon's and Drew Goddard's movie The Cabin in the Woods there is a part where the characters have gathered in the basement of a cabin. One of the characters, Dana, has found an old journal and reads aloud from it. The group learns that a latin spell has been written in its pages, one that will restore--bring back from death--the family of the girl who wrote it. The fool, who is really the only sane person here, says, "No! Don't read the spell." A disembodied voice whispers: Read it, read it out loud. At this point--even though I knew she was definitely going to read the spell--I was sitting on the edge of my seat screaming at the television: Don't read the spell! Of course she read it, it's a horror movie after all! Still, there was anticipation. What would happen after she read the spell? Notice that there isn't a lot of reasoning going on here, the sequel skips that part, but it draws out anticipation. This is typical of a horror movie since a big part of making a movie terrifying is anticipating the horrors to come. Which course of action the character chooses has a lot to do with the kind of pseudo-person she is. Does she care about the welfare of others more than her own? Will she risk her own welfare to save others pain? Either answer, yes or no, shows us a lot about her. In the end, Sue realizes she needs to find out who killed her husband and make them pay. She also needs to find out why her assistant, Mark, didn't check in. Is he dead? Is he in league with her husband's killer? She needs answers and the only place she's going to find them is at the convention. Now we've got the general goal for the next scene (find out who killed her husband and why) as well as a specific one (get into the conference undetected). The character has made a choice, they know what to expect--or at least they think they do. Now it is time to act. This leads us into the next scene. In this chapter I've looked at the structure of a sequel. 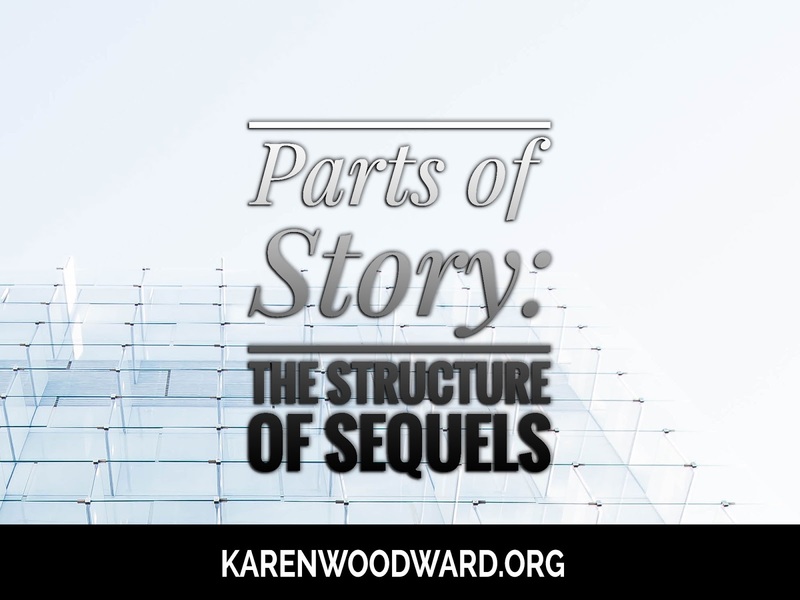 In the next I'll examine why sequels lie at the heart of good storytelling. I'm working on a sequel right now and this is just the article I needed :) Thanks! I'm glad! Sequels were a revelation to me.